Our vision as a church reminds us that serving changes lives and a vibrant people make a vital difference in the lives of many. We hope you prayerfully consider how God may use your gifts through serving others. For over 20 years, a coalition of religious, community, and civic groups have worked together to promote state policies to improve the lives of low-income people in Alabama. This coalition is known as Alabama Arise. First Presbyterian’s membership in this organization reflects our commitment to live out our Christian faith in all areas of our life. Alabama Arise, among other issues, works towards a fair and adequate state tax system, a new state constitution, and state budgeting practices that provide equitable and adequate services for low-income people. Birmingham Faith in Action (BFIA) is a local faith-based community organizing effort. First Presbyterian Church has joined with other congregations from both black and white communities across the city to help lead this new initiative. BFIA is a member of the PICO National Network, a federation of faith-based community organizations working to create innovative solutions to problems facing urban, suburban and rural communities. For over 40 years, Greater Birmingham Ministries (GBM) has worked to meet people's emergency needs while also pursuing social and economic justice for all people in our city. First Presbyterian Church has an historic commitment and involvement in this ecumenical and interfaith organization. Since 1983, the people of First Presbyterian Church have been committed to working alongside homeless women and their children in downtown Birmingham. What began as a temporary shelter in our basement has become a life-giving center for hospitality and hope in our city. From the beginning, First Presbyterian partnered with other area churches to establish this mission center, and these ecumenical partnerships continue today. 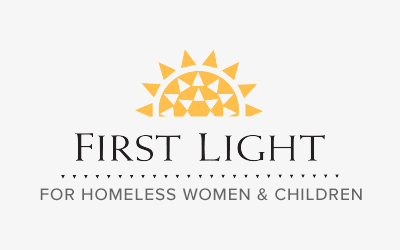 First Light houses women and their children, whom we call guests, 365 days a year and surrounds them with supportive programs and professional staff. Volunteers and support come from all across the metro area to provide a safe and caring environment where these women and their children can find community, opportunity, and hope. The Presbyterian Church in Central Alabama has developed a strong camping program for generations. Many of our current leaders, like the children and youth of our church today, grew up participating in our summer camps and regular annual retreats. Until now we have never had a comprehensive camping and conference center for people of all ages. That is why we are building Living River. Living River is owned and operated as a 501(c)(3) non-profit organization by the Presbytery of Sheppards and Lapsley. The Presbytery is part of the Presbyterian Church (USA), the largest Presbyterian organization in the United States. The Presbytery of Sheppards and Lapsley surrounds the Cahaba River in Central Alabama. When fully functional, Living River will provide children, youth, and adults with an exceptional setting for camps, conferences, and environmental education opportunities. In 1995, First Presbyterian Church established the Elizabeth Perry Rushton Child Development Center (EPRCDC) as a mission to the downtown community and a support for parents with young children working in heart of the city. The EPRCDC provides childcare of exceptional quality in a loving environment. Since 1997, the center has been accredited by the National Association for the Education of Young Children (NAEYC). First Presbyterian Church is committed to be a community where children are cherished, and the EPRCDC is an extension of that deep commitment. The Ruth and Naomi Senior Outreach (RNSO) grew out of the heart of First Presbyterian Church with the commitment and dedication of the Reverends Lynn Bledsoe and Mary Porter. This unique and creative ministry takes its name from the biblical book of Ruth. Ruth and Naomi’s story turns on two women’s care for each other and the community’s commitment to notice and provide for its poor, widows, and orphans, as they live out the faithful loving kindness of their God.